Xerox after xerox after xerox. 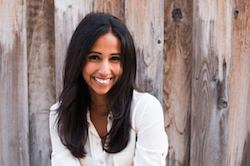 That’s what I remember when I think of Orangette blogger Molly Wizenberg’s part-memoir, part-cookbook A Homemade Life. I read the book years ago, but I revisit it from time to time via the many, many photocopies I made of all the amazing recipes in the book. 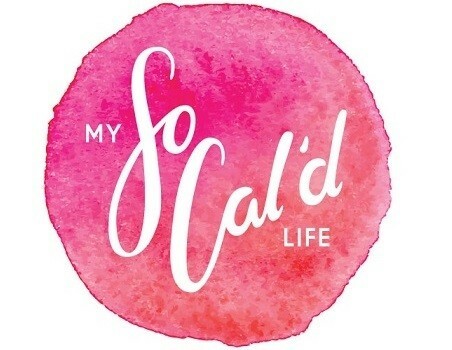 In A Homemade Life, Molly talks about family matters, her blog reader-turned-boyfriend-turned-husband, and all the meals in between that made those relationships meaningful. 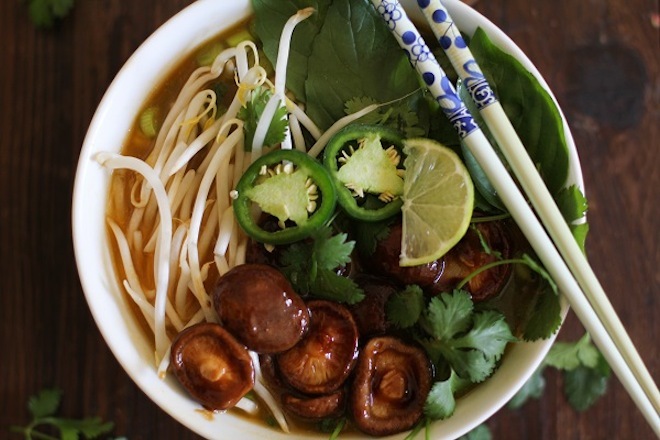 It’s thoughtful, sincere, and hunger-inducing. I remember being so enamored with the recipes that I wanted to hold on to them all. I guess I should’ve just bought the book, but I was cheap and gave the book back to the library after Xerox-ing the recipes for free at my office job. But why bring this up now? 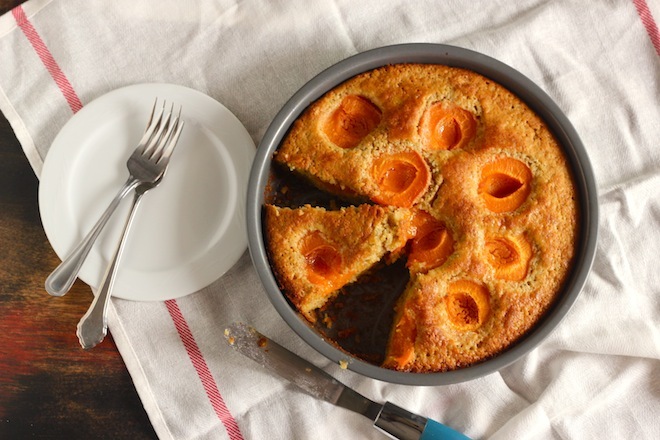 Because it’s apricot season! And the summer fruit just happens to be the focal point of one of my favorite recipes from the book: pistachio cake with honeyed apricots*. It’s a moist, light cake with a slightly nutty flavor, thanks to the pistachios (duh) and the nutmeg (though I used cinnamon). For all times outside of apricot season, nectarines have worked just as well. I’m so excited about today’s post because it combines my two favorite things in life: food and travel. Whole Foods invited me to take part in a blogger challenge on behalf of their new travel venture, Whole Journeys, which creates specialized, multi-day international and domestic trips for small groups. The trips are all about engaging with culture through food, whether that means wine tastings, lessons in cheese making, or hands-on cooking classes. If you read our travel blog, then you’d know that this way of seeing the world is right up my alley, and there were more than a few examples to prove it. We asked the staff at a restaurant in Myanmar to teach us a traditional recipe. We worked on a Patagonian farm to gain a greater appreciation for food sources. We did a homestay in Mysore to try local meals. Food with travel makes us happy and fulfilled. So my task was to create a recipe using an ingredient from one of the Whole Journeys destinations, and together we decided on Peru. Whole Journeys’ Peru trip includes meetings with Whole Planet Foundation microentrepreneurs and the COCLA Cooperative farmers whose organic coffee can be found in Whole Foods. For me, not only was Peru the first country of 14 in our backpacking trip, but we still think about the kind people, the rich history, and the innovative cuisine to this day. 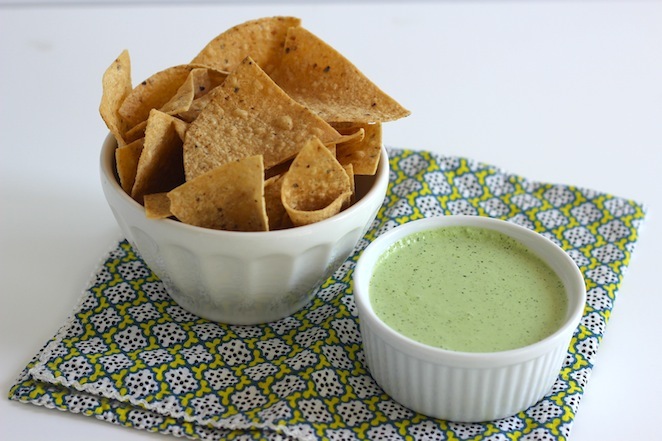 My ingredient was cilantro, and even though I could make anything my traveling heart desired, I wanted to pay tribute to the country of the hour. Enter: the goes-with-everything aji amarillo sauce. 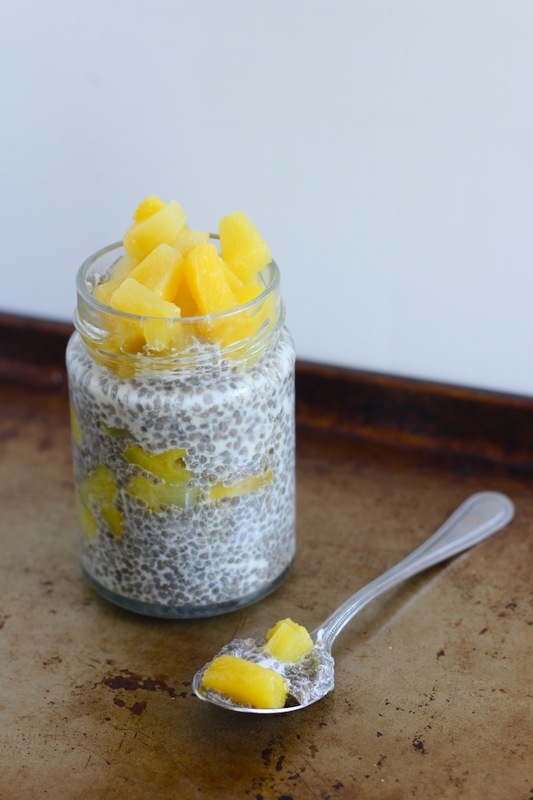 Chia seed pudding seems to be all the rage in Blog Land, so after Pinning a few recipes to Pinterest, I finally bit the bullet and made a combination that was right up my alley: pineapple and coconut. A little background: Chia seeds are extremely high in fiber, omega 3s, and protein, and are popular additions to smoothies, yogurt, salads, and baked treats. (I wrote about chia’s then-superfood status for Details magazine back in 2011.) Athletes love its slow-burn properties and throw the seeds in water for a pre-workout “fresca.” Leave the seeds in liquid over time, though, and the mixture turns into a gel, which brings us to pudding! This chia seed pudding recipe is super easy, and given that I’ve been trying to decrease my sugar intake—I had two porcelain crowns put in at the start of the year, that’s how bad my sugar addiction is—I’m so excited to have a healthier option when I need something sweet. 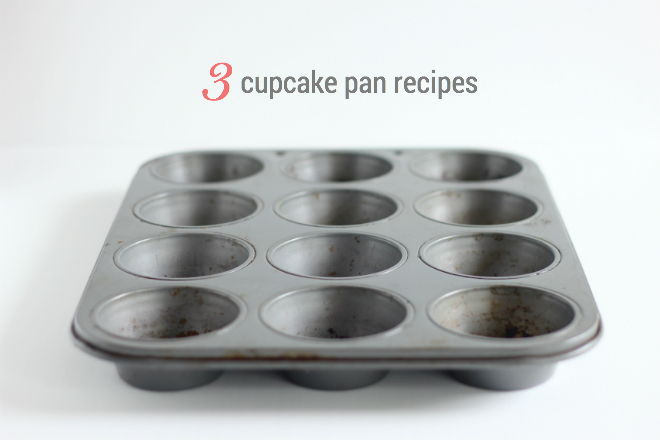 The cupcake pan: vehicle for delicious sweets but capable of so much more. Quick breakfasts, healthy muffins, perfectly portioned desserts—here are a few ways to make use of the totally versatile kitchen tool. My relationship with coconut oil began with my grandmother. She would smooth the Indian beauty staple onto her hair almost every day, leaving the bathroom smelling like a tropical paradise. Since then, I’ve practiced my fair share of coconut oil beauty regimens — most recently = this coconut-brown sugar body scrub — but I needed to find a way to make a bigger dent in my big jar from Trader Joe’s. 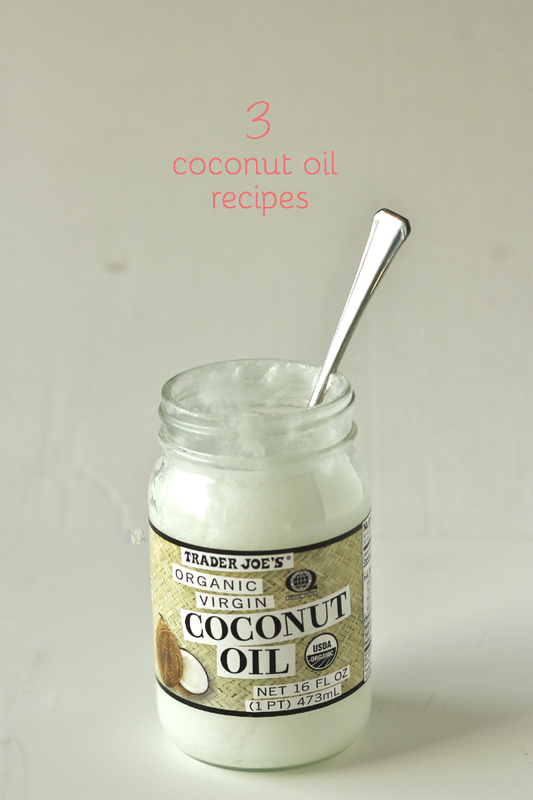 Coconut oil has been so in vogue in food recipes these days, but I don’t love throwing it into just any dish. It has a distinct taste, and I don’t think it goes with everything. But I was on a mission to find (and share with you) three recipes that are totally awesome/totally delicious with the fragrant oil. Boy, that was fun. 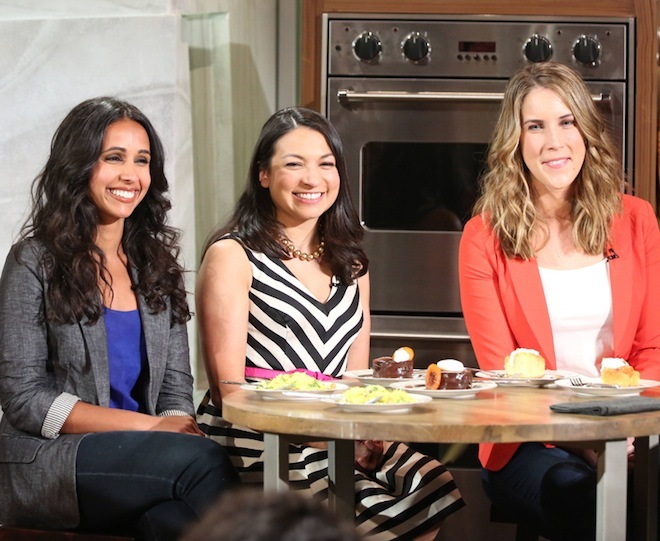 Last Monday I taped a segment for The Queen Latifah Show that involved food, the Queen, Curtis Stone and two other wonderful bloggers, Daniela Galarza of Los Angeles magazine and LAist food writer/TV personality, Krista Simmons (she was a judge on season 4 of Top Chef Masters). The challenge was to make a dish with a citrus theme, as Stone’s new seasonally focused Beverly Hills restaurant, Maude, is offering all sorts of citrus delights this month. The bigger challenge was that I had to make this dish during my Cosmopolitan Grammys assignment and in the kitchen of my friend’s apartment, where I was crashing all weekend. Then my mom put it all in perspective: My favorite dish growing up was, in fact, lemon-themed. Yes! I decided to make lemon rice sticks, a traditional South Indian noodle dish that incorporates turmeric, chilies and cilantro. It’s incredibly easy, which would help with my short-on-time conundrum, and represents my culture. I hate most salads. The ones with leafy greens, chopped tomatoes, lentils, etc.? I just hate them. They’re not satisfying, they’re not filling and they honestly make me unhappy about life. I’m not saying I need pounds of carbs in my meal, but there’s something about salads that makes me feel like I’m eating rabbit food. But I did do a double take when I saw 101 Cookbooks‘ recipe for a California barley bowl, which seemed to be a salad for salad-haters. 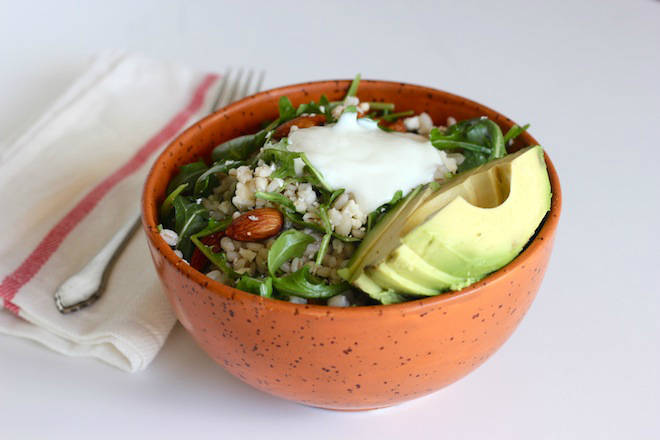 Beyond greens, nuts and avocado — typical salad staples — there were grains! Catchy name aside, this is a salad experiment worth trying. It’s delicious thanks in large part to the different textures — chewy barley, creamy avocado and crunchy nuts — and made for a perfect lunch. Unlike my usual sandwich or taco routine, I felt full but light, which is crucial to being productive the rest of the work day.